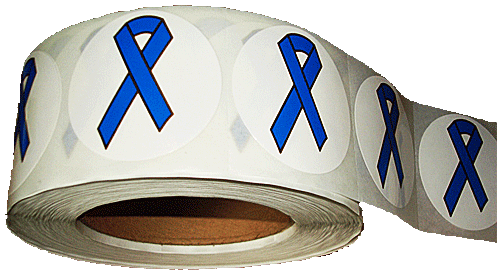 LIFEJACKETS PRODUCTIONS offers a variety of items for use in conjunction with your Child Abuse & Neglect Prevention efforts. We can also customize orders with your organizations name or logo Many of items can be purchased in sale packages or at quantity discounts. 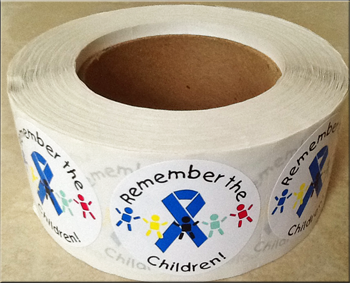 Bag of blue wristbands with the message "REMEMBER THE CHILDREN" with Blue Ribbons. Package of 25 wristbands only $24.75. 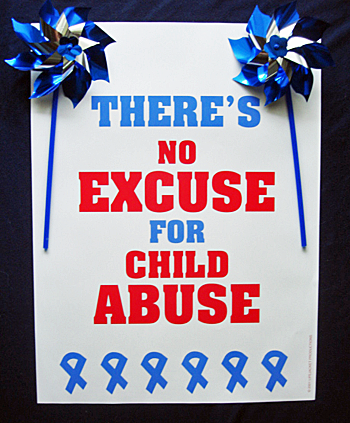 All four of our Child Abuse & Neglect Awareness Posters. Only $10.95 for all four posters. 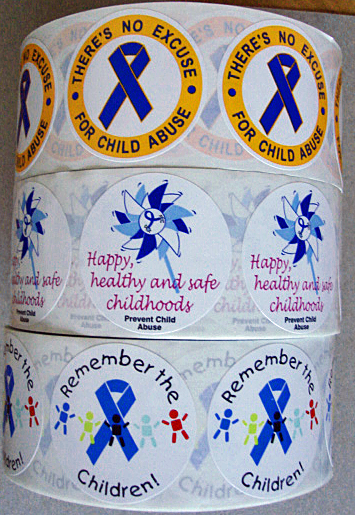 *STICKER SALE - Get 3 Rolls of our Awareness Stickers for only $48.95 per roll and also receive a FREE POSTER! 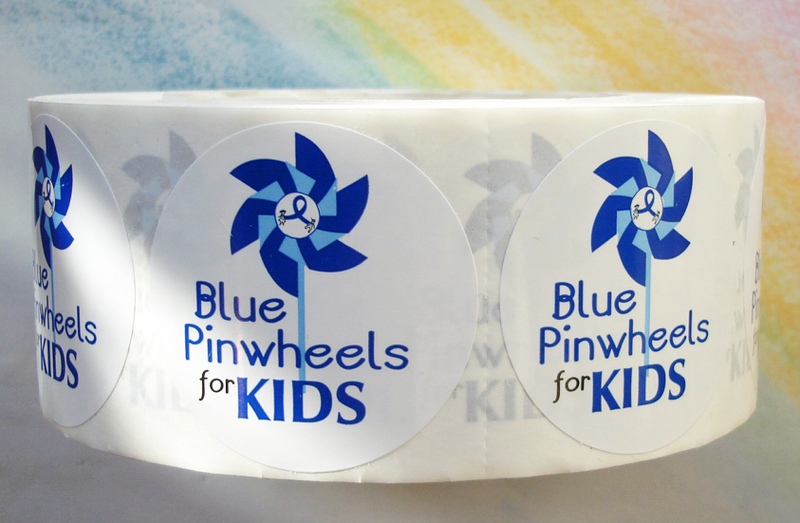 STICKER SALE! 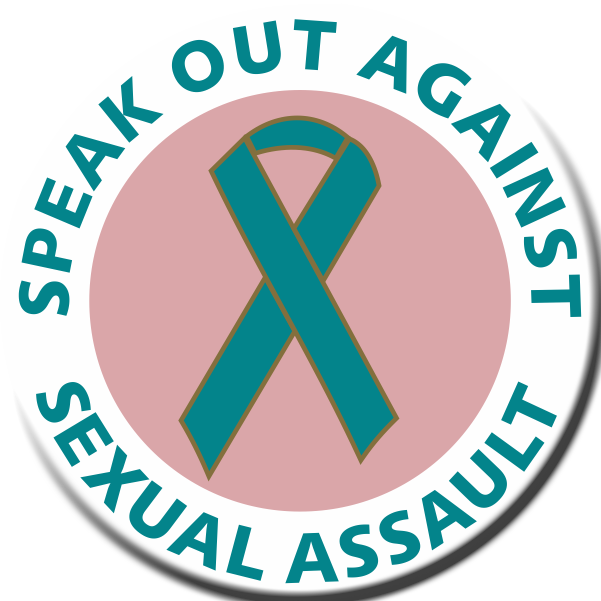 - Purchase any three or more rolls of our Awareness Stickers for only $48.95 per roll of 1,000 stickers and also receive a FREE AWARENESS POSTER! 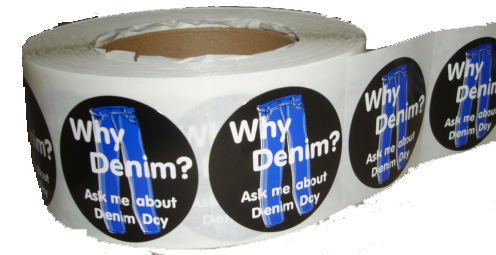 Regular price $53.95 per roll. 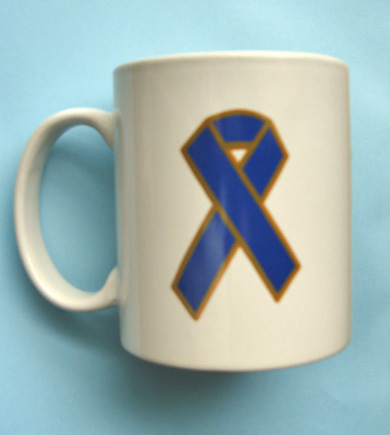 Blue Ribbon Embroidered Appliques Press & Apply Appliques. 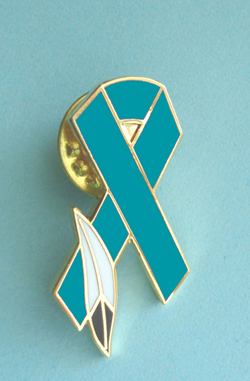 Package of 100 embroidered cloth ribbon. Available in both 1" and 1-3/8" sizes. Pricing is same for both sizes. 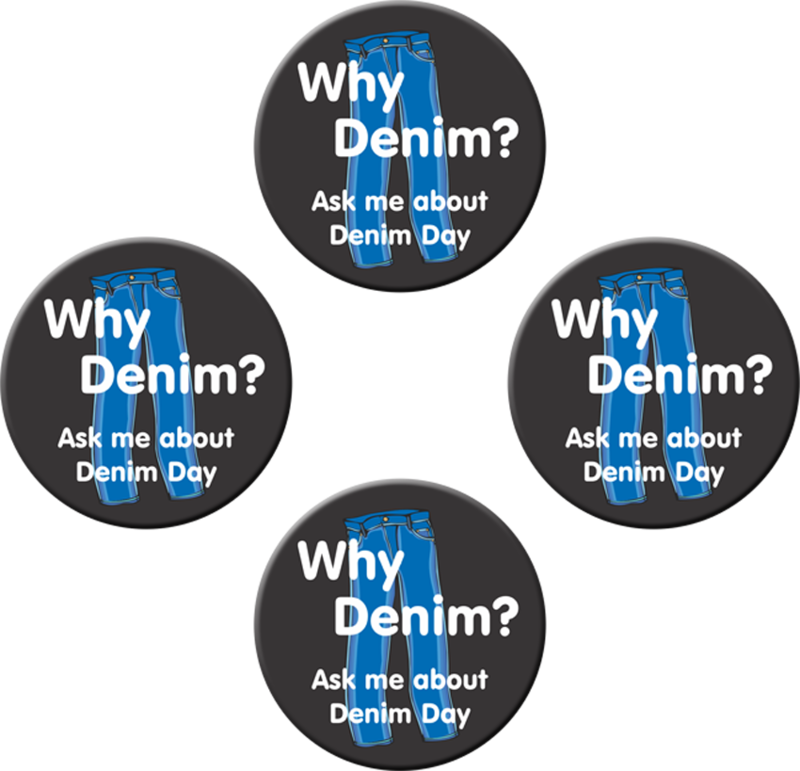 *See info page for pricing and quantity discounts. 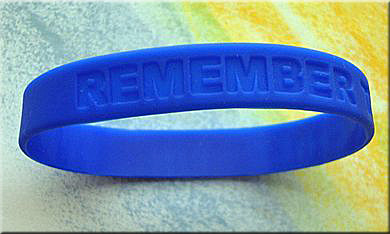 Bag of blue wristbands with the message... 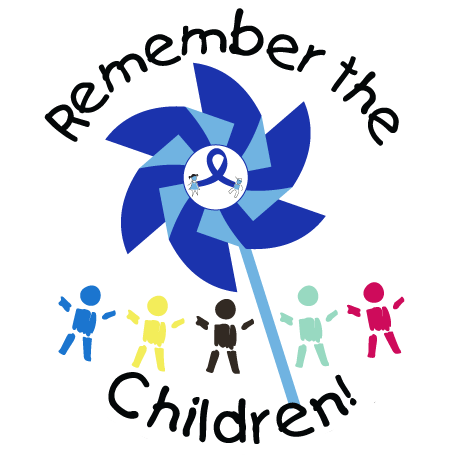 PREVENT CHILD ABUSE & NEGLECT with PINWHEELS. Package of 25 wristbands only $24.75. Now on sale! See sale price in cart. Package of six white 100% cotton tee-shirts. 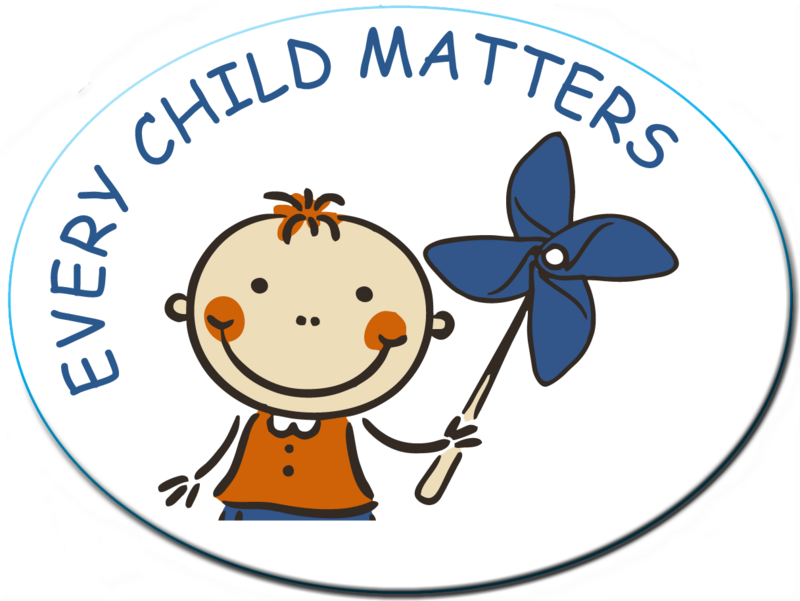 Choose any of our Child Abuse & Neglect awareness tee-shirts. Only $55.85 per package. Includes a 15% discount. White 11 oz. ceramic mugs. 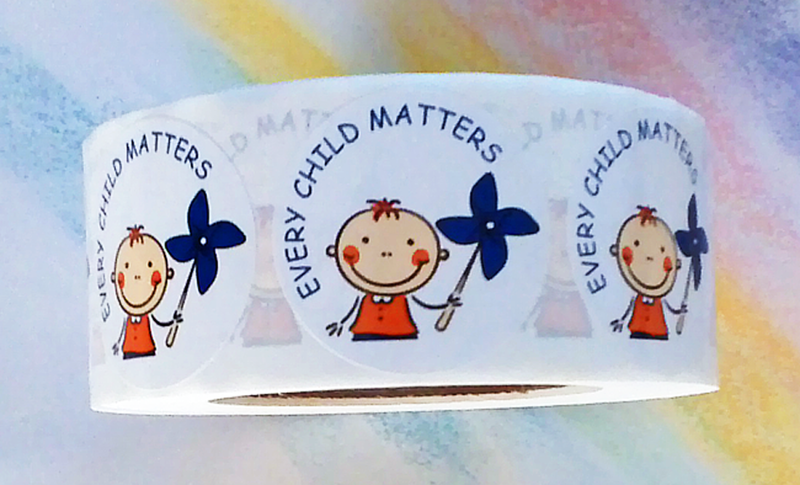 Choose any one style or a combination of our Child Abuse & Neglect Awareness designs. Only $48.96 per tray of 12 mugs. Price includes a 15% discount. Regular price $4.80 each. Minimum order of 6 mugs.